Symptom: Bumps, breakouts and irritation from a stress-related increase in hormone levels and oil production. Solution: Glacial Face Wash refreshes and soothes chronically stressed skin with the purest Icelandic glacial waters and beneficial minerals. 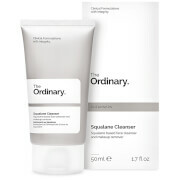 This creamy, foaming cleanser is exceedingly mild, so it detoxifies and purifies without stripping skin of its natural moisture. Skin's harmony, balance and glow are restored. In addition to skyn ICELAND's Biospheric Complex, every skyn ICELAND product contains a number of highly beneficial ingredients that enhance it's effectiveness. 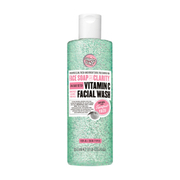 Oat and Amino Acid based surfactants, provide extra gentle cleansing. 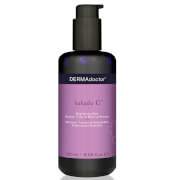 Cylindrica Seed Oil, helps repair skin's lipid barrier and fights free radicals. White Willow Bark, soothes irritation, helps provide antibacterial protection and is a natural, skin-soothing analgesic. Add water to a small amount and work into a lather between hands. Massage onto moistened skin and rinse.